People stroll down Bridge Street on Friday, July 20, in Vail. The summer tourist season is in full swing with a busy valley. 24 percent: “Super Boomers” — primarily empty-nest couples. 22 percent: Front Range travelers. VAIL — Since this place has existed, ski season has been the primary source of town sales tax revenue. But over the past few years, summer has made up a growing part of the town’s revenue picture. Revenue from summer business still pales in comparison to winter, but warm-weather business continues to grow and now makes up a full third of the town’s sales tax revenues. That number was below 20 percent not long ago. 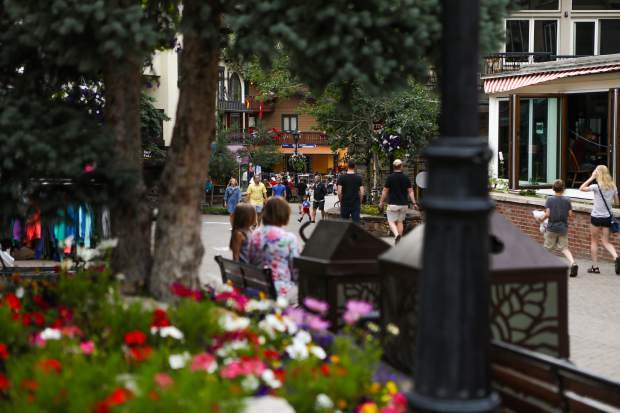 Growing summer business is the job of the Vail Local Marketing District, which is funded by a 1.4 percent lodging tax in town. 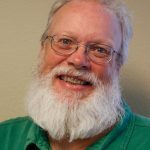 The Vail Town Council sits as the district’s board of directors, but a nine-member volunteer board, the Vail Local Marketing District Advisory Council, does much of the district’s work. Three members of the advisory council — John Dawsey, Laurie Mullen and Beth Slifer — met with the Vail Town Council at its afternoon meeting on Tuesday, July 17, to talk about this summer’s efforts and some changes in the plans. • Destination families, meaning families who come to the valley from other states. Those visitors tend to stay longer and spend more during their stay. • “Super Boomers” are retired, or nearly so. Most don’t have kids at home and travel when it suits them. They’re great mid-week guests. • Front Range visitors have long made up the bulk of Vail’s summer guests. They remain an important part of the visitor mix. What all those visitors have in common is disposable income — most ads are targeted toward individuals and families making more than $100,000 per year. To attract those people, the district is moving much of its money to online sources, with the help of Vail Resorts. At this point, the summer ad campaign uses very little print. While the discussion with the advisory council focused more on what’s happening, there was some talk about what Vail needs in the future. Most see the biggest need as more, and bigger, meeting spaces for groups. Slifer said the town needs more wedding sites, especially for weddings of between 250 and 400 people. Slifer added there’s also a need for an indoor site that can hold between 500 and 1,500 people. “It’s long been my belief that we need to go to someone who builds conference hotels,” Slifer said. That way, a group could have all its events under one roof. And a couple of long-time groups have left Vail for larger spaces. Council member Kevin Foley said the town this year lost both the Future Business Leaders of America — a group of mostly high school students — as well as the Colorado Municipal League, which represents the state’s towns and cities. Council member Greg Moffet noted that the biggest meeting space in town is a relatively modest 8,000 square feet. That need, though, sparks a more broad-ranging discussion — one that’s going to require a substantial amount of money, if space can be found.